Newly-launched cable channel Jeepney TV airs its first ever channel-produced special, “Dolphy: Song and Dance Man” on Sunday (December 16) which features Dolphy not as a funny man but as an ultimate entertainer. 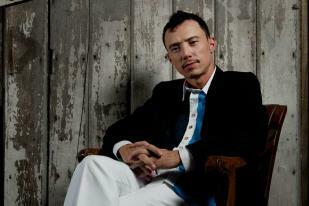 The special will show Dolphy’s other talents – his pitch perfect singing and grace in dancing. Through the captured excerpts from some of his most memorable performances on television, viewers will realize that he is the original triple-threat artist. Watch him effortlessly belt out the show-stopping “This Is the Moment”, challenge Fred Astaire or Gene Kelly in a tap dance number with Vilma Santos, draw the laughs in a comedic tango routine with Ai-Ai de las Alas and trade song and dance moves with Gary Valenciano, among others. Hosted by his son Epi Quizon, the show will thread together the Comedy King’s unforgettable musical moments on TV and provide an insider’s view about his selfless love for performing and his audience. “Dolphy: Song and Dance Man” is an original Jeepney TV production airing on Sunday (December 16) at 9:00 p.m. as a LET’S GO, LINGGO! special Holiday offering. Jeepney TV is available on SkyCable Channel 69.Jeepney TV is an archive cable channel that provides content close to the hearts of the Filipino TV audience. It offers well-loved and timeless programs of ABS-CBN, movies and program fare that define and highlight Filipino TV.